The Tamil National Alliance (TNA) has called for further testing of bone samples from a mass grave site in Mannar, where the remains of over 320 people, including children, have been found so far. An initial carbon dating report of bone fragments taken from the mass graves date the six skeletal samples back to 1499 - 1719 AD. The report, based on the testing of the samples earlier this year said it was not possible the determine the time period more accurately. 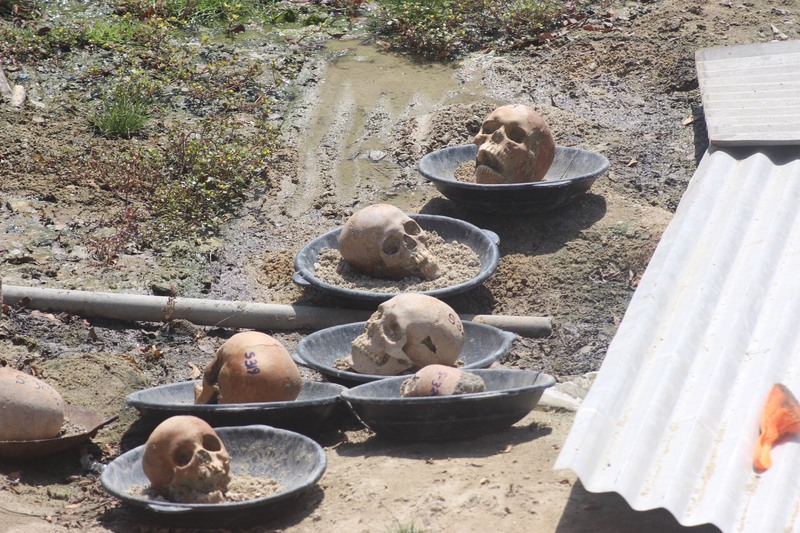 "This is not to say that we do not accept the reports sent by a lab in Florida, US, but given the importance of the Mannar grave site we need to get a second opinion," said Mullaitivu District MP Nirmalanathan Sivamohan, as quoted in The Island. "A lot of people went missing in Mannar during the war,” he added. “We need to expand the excavations at the mass grave site. We must do further tests to identify the victims. The TNA insists that the excavations and testing should go on." The call was backed by Executive Director of the National Peace Council Jehan Perera, who told The Island that it “will be a sign of respect to the TNA which represents the majority of the country’s second largest population group on a matter that they think is of utmost importance”. See more from The Island here and here.